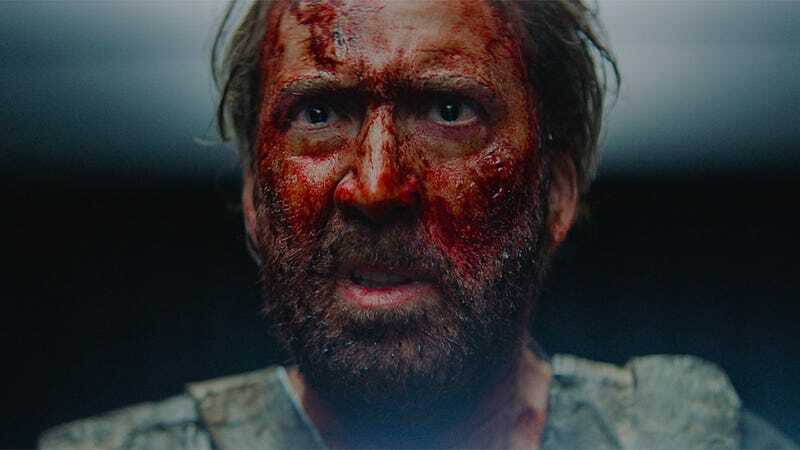 Nicolas Cage is out for blood in Mandy. These days, when you think of Nicolas Cage, you think crazy. You think over-the-top. You think manic. And now, from the looks of it, you’ll think Mandy. That’s the title of his latest movie and it looks like everything you think about Cage rolled into one wild performance. Honestly, this is one of those trailers you should just watch before reading anything more. Mandy is the second film by Panos Cosmatos, who directed the trippy scifi tale Beyond the Black Rainbow. And, as you can kind of tell from the trailer, it’s about a couple (Cage and Andrea Riseborough) whose life is ruined when an evil cult attempts to kidnap and possess Riseborough’s character, named Mandy. That sets Cage’s character off and he goes on a blood-soaked hunt hellbent on revenge. Reviews out of Sundance were wildly positive (it’s sporting a 97 percent Fresh rating out of almost 30 reviews) so we’re anxious to let this one unspool and go along for the ride.